This 10-lesson course includes 30 hours of kiteboarding instruction spread over ten days. This is a discounted package. This comprehensive course gives the student a solid foundation in the sport of kiteboarding. 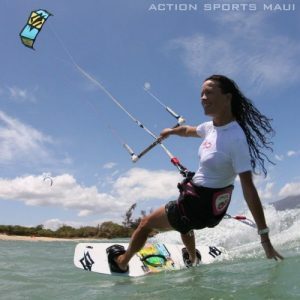 This course is the fast track into kiteboarding covering all the basic skills covered in the “Classic” course including equipment handling, kite-control skills, launching and landing techniques, safety systems and Ride-safe protocols. Students then progress to planing, riding and jibing, upwind riding skills. The increased ride-time enables the student to hone their skills with constant feedback from the instructors, creating the most rapid progression possible. We can ride with you or caddy your equipment. In this course we can do a range of techniques, and utilize alternate launch sites and beach locations. 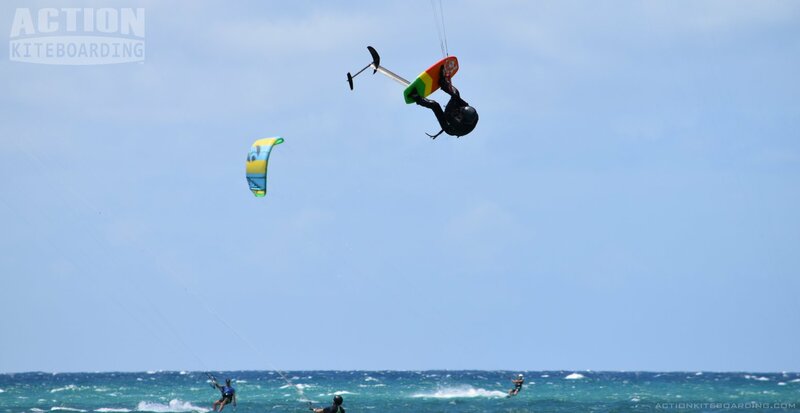 This course is great for someone who wants to take the sport of kiteboarding home with them, to a location without kiteboarding schools, or other assistance. We also recommend this course for Maui residents who are committed to enter the sport safely and competently. The hours in this course can be spread out to suit the work or vacation schedule.